Part of the privilege of sharing our lives with a pet kid is the emotional bond we share with them. 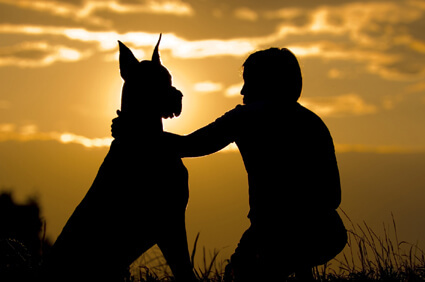 Even among these relationships, often there is one very special companion animal, whether a dog, cat, bird or even a reptile, who makes an indelible mark on our lives. Dog racing is big business. Whether or not you condone the enterprise, there’s no denying that it can take a toll on the racers. Not content to sit on the sidelines, this month’s featured grant recipient addresses the sport’s collateral damage, working to heal the bodies and spirits broken by years of circling the track. Located in Los Angeles County, FastFriends Greyhound Adoption of California maintains a wide foster-home network. When it comes to their rescue, FastFriends has a one-track mind - to help transition greyhounds from racing careers to lives of companionship with adoptive families.